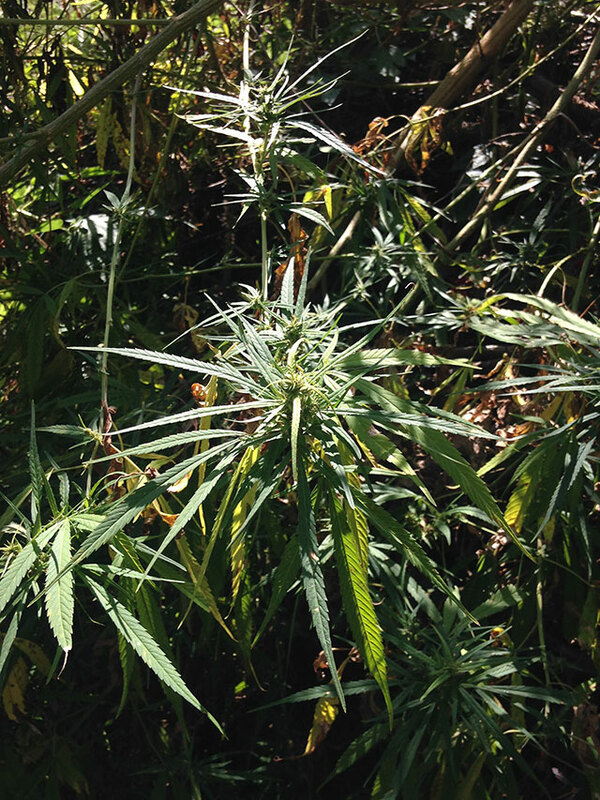 Because the leaves were turning yellow and the buds were sticky with resin, the plant was ready for picking. Tara went down her terraced land to where the bushes lay and hacked off their sinewy stems. It was easy work, but Tara was careful to not damage the buds, the most valuable part of the plant. She remembered the news she read recently, about a Frenchman who lived in a nearby village. He had gotten in trouble with the law, because he grew the charas in a greenhouse and sold it to other foreigners. The Frenchman fled and the blame of the whole operation now fell on the local landlord. Poor man, Tara thought as she carried the leafy bushes to her veranda, these outsiders do as they please and end up hurting us in the process. Sharmaji too, she concluded, was part of this detested category of outsiders that exploited and got away with it. Tara’s sister-in-law waited on the veranda. As the women sat together, they picked the leaves off the branches, leaving only the tiny buds that now smelled ripe with intoxication. Because the leaves were turning yellow and the buds were sticky with resin, the plant was ready for picking. Photograph by Nikhil Gulati. “I heard, I heard. You know, our grandmothers and their mothers used to smoke this openly.” She pressed her thumb and index fingers together, feeling the stickiness of the leaves. “Shyama doesn’t have to know, does she.” And with that, Tara’s sister-in-law laughed heartily, while Tara clicked her tongue in disapproval. A small, dark man with a stern mouth walked down the path onto the veranda. “Aiye, Lakhanji, we were waiting for you only. Here.” Tara handed him a plate. Lakhan grabbed a chair, placed the plate on his lap, took one of the branches the women had stripped of its leaves so that only the buds remained on the naked wood, plucked them off, and rubbed them vigorously between his palms. They continued thus, the three of them. Tara and her sister-in-law plucked the leaves off the stems and Lakhan rubbed the buds together until all that remained on his palms was a sticky coat of black. Squeezing his palms together, sliding them against each other with great pressure, Lakhan slowly pulled off the black resin in tiny rolls, which he pushed together into a larger, compact coil of black. “Lakhanji, are your hands feeling the nasha yet,” Tara joked. “Mmm,” Lakhan replied, rolling the buds between his palms. The women laughed some more. Lakhan smiled, occasionally pausing to smoke a beedi. “Aghoris are frauds,” Lakhan repeated. “Now that sounds like fraud,” Tara said. “No, it’s true, I saw it on television. You should try it on Sharmaji.” Tara’s sister-in-law laughed. He opened the thread of a fresh beedi, unraveled the leaf and its powdered content, burned the black coil with the flame of a matchstick until it crumbled into his open leaf, mixed the powder, and rolled the beedi back tightly. “Let me try some, Lakhanji,” Tara’s sister-in-law asked. “What is this, sister? Men can smoke openly, but women have to hide? This is not fair. I thought you believed in fairness, Pradhan Madam. Lakhan passed the beedi to Tara’s sister-in-law who, upon inhaling its contents, burst into a fit of coughs. The plucking was almost done and Tara collected the leaf matter into a single pile.